This year was the first Nationals in 12 years that I could stay at home. I thought it would be quite good, nice a relaxing… that is if you don’t have a bunch of Orienteer’s staying with you! Not that it was a all that bad, it was quite nice to accommodate some of those guys that seem always willing to accommodate me when I’m up there away from home. Anyway, as I said before Nationals I was missing a bit of motivation for Orienteering. Party I think due to a long summer of Orienteering, however the lack of motivation allowed me to step back a bit and focus on the process, and not to worry about the outcome. It sounds simple to do but its something that I have been battling with for the past year in terms of my orienteering. I made some rapid improvements in late 2011, then throughout 2012 I became a bit frustrated when I expected to win and it didn’t happen. I think with some help I have managed to put this phase of orienteering behind me. Going into the sprint on Good Friday I wasn’t sure how my Hamstring was going to hold out. I just hoped the anti-inflammatories were going to do the trick! As soon as I flicked over the map everything not associated with orienteering flew out the window and the focus switched on. I was solid, I made a couple of hesitation type mistakes here and there, but I trusted myself, believed in my navigation and pulled myself through to a solid result. I never really felt like the engine got up to full speed the whole race. I’m not sure if that was just because of the technicality of the map or something to do with the Hamstring. I was surprised to see that I ended up in 5th place anyway… then eventually 4th after the cheater disqualified himself! Coming into the middle distance I was feeling much the same as the day before, worried about my hamstring, and a little nervous about doing well to back up the sprint, or even build on the sprint result. This played on my mind a bit for the first few controls. I took a really safe route to the first control, got it with a little bit of spinning around in the circle. The second control almost undid my race completely, however I was pretty happy with myself and stuck to my guns when in the circle and eventually found the control a little hidden around the corner from where I thought it should be. I kept calm, but continued to make 10-20s mistakes in and around the control circles. Just before the spectator loop I suddenly flipped into a bit of a flow state, and really cranked the speed on, dragging heaps of time back and pulling myself into 3rd equal. It was one of the most exciting orienteering experiences I have had in that last 10mins of the race! Last year I came into the long distance with the aim to take it out hands down and failed miserably. My preparation was poor, I started a little bit hungry and finished a lot hungry, dehydrated and disappointed. This time I was even more focused on the long….right up until I did my calf, my hamstring, almost my other calf and pretty much the other hamstring too… I wanted to have a good race, and being my birthday I wanted that national title too. It seems though that I didn’t learn from the year before… I was standing on the start line once again feeling a little hungry…one leppin didn’t really cut it either. I faded through the middle of the race, and right towards the end too. I navigated well I thought, I made very little navigational errors, however I did loose 3mins on a route choice mistake, which would have had me into second place. I felt I performed as well as I could have navigation wise, physically I wasn’t in my best condition ever, but the best I could be on the day. The race nutrition let me down a little bit but I still don’t think it could have got me that number one slot. So although I had a good race, ran well, navigated well I was still a little disappointed I didn’t get the result I wanted even though I gave it my best shot. Some embarrassment was to come at the prize giving, I didn’t get and certificates trophies or medals but instead two awesome cakes and the entire audience sing me happy birthday! The relay the next day was a bit of a mess. I had a consistent weekend so far and I was aiming for another good race in the relay. However I got all a bit excited in the masses. I over ran the 2nd control, and was forced to play catch up early on. After catching up a bit later I again over ran a control…. luckily for me the next section of the course was steep uphill and pretty much all running. I reeled the train in and caught back on the peleton all to loose it again on the third last control. I finished in 6th position and my worst result of the weekend, which wasn’t too bad on the whole. Our relay team ended up holding onto 4th for a while but got over taken by the third string Papo team right near the end and we ended up 5th. Not a bad result for Papo with 3 in the top 5 teams! Overall it was a really good weekend, I enjoyed it, got a little bit of motivation back, but mostly I understand now how I need to orienteer to do well and it seems I just have to go in not really caring about how I will end up in the result list, just how I navigate out there on the course….always easier said than done. Another milestone, Ive cracked 1000 words this post, plus this is the 100th post in total! 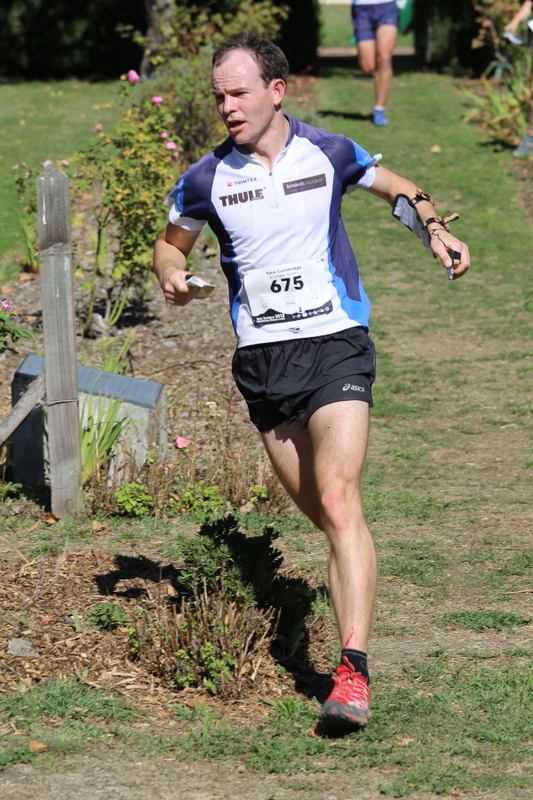 Next week: NZ Mountain Running Champs in Wellington, should be fun!